To schedule a free consultation with San Diego vehicle defect attorney, call at 619-236-9696 and discuss your Vehicle Defects case to get solutions for your queries. The car accident lawyers at Simpson Law Group provide experienced representation for persons who have suffered personal injuries or wrongful death as a result of a vehicle defect. When a vehicle defect is the cause of personal injuries or wrongful death, there may be multiple parties liable within the chain of distribution. Our San Diego vehicle defects attorneys can help you investigate the source of your accident and identify whether a defective auto part was responsible for your injuries. We have successfully taken on major automakers in the past and helped our clients obtain full compensation for their losses. When you need aggressive advocacy, we’re here for you. Automakers are required to subject their vehicles to thorough safety testing and inspections before introducing a vehicle into the market. Unfortunately, the pressure in the car industry to produce profits have led to lapses in safety testing and even attempts to cover up known auto defects. It is important that we hold automakers responsible for their mistakes to protect consumers. Defective tires: Tire blowouts occur when there is an abrupt and unexpected loss in tire pressure, which causes the driver to lose control of the vehicle. Defective airbags: With the recent Takata airbag recall scandal, millions of cars contained defective airbags that have been known to explode and eject metal debris into the face of drivers. Other airbag defects can include failure to deploy with too much force. Seat belt failure: Seat belts are supposed to save lives, but an unfortunate seat belt defect can lead to fatal injuries. Seat belt failures can be caused by a defect in the latch or a flaw in the design or in the way it is installed in the seat. Fuel fed fire: Defects in a car’s fuel tank or poor location of the tank can lead to leaks or cause dangerous explosions during a collision. This type of defect was common in early Ford cars, some of which had gas tanks installed behind the rear axle – a dangerous location. 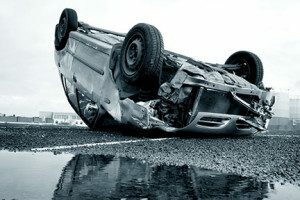 Roof crush: When a car’s roof caves in or collapses during a rollover accident, this means that automakers did not properly design the roof to be able to hold the full weight of the vehicle. From defects in cars and SUVs to pickup trucks, commercial trucks, our experienced team has a sophisticated understanding of the mechanics behind auto part defects and product liability laws. If you or a loved one has suffered injuries or a wrongful death as a result of a vehicle defect or highway defect, contact Simpson Law Group to receive a free case evaluation.